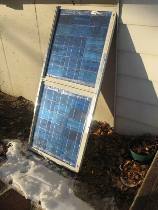 This page is for a Battery Voltage Meter that will be hardwired to the Batteries themselves. This will be what I will monitor the actual battery voltage for the "State of Charge". 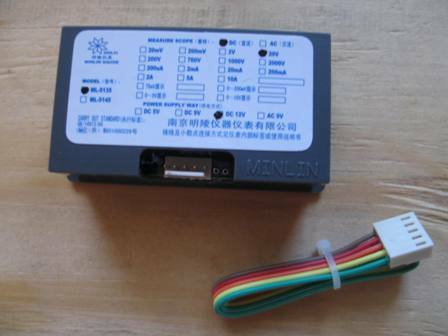 This battery monitor I have decided to include internally with the charge controller. 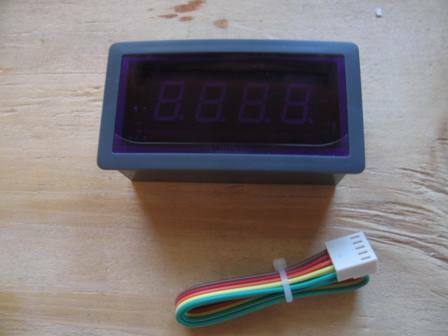 Below is 2 photo's of the Digital Voltmeter that I recieved from sure electronics. This Digital Voltmeter takes a 12volt powersupply and can measure up to 20vdc. Later we will get into the construction of the enclosure and the wiring. stay tuned.